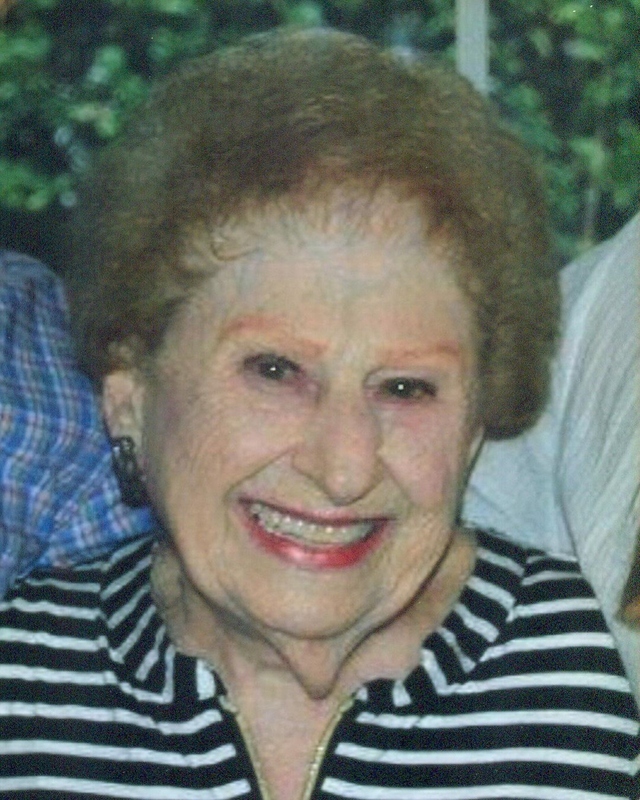 Carmela Serio Jennings passed away peacefully on Tuesday, October 16, 2018, at the age of 97. Carmela is survived by her niece, Barbara J. Johnson. Loving great aunt of Capt. Chris S. Johnson (Judy), Capt. Bobby B. Johnson (Nicole), Stacy Johnson and Capt. Carey P. Johnson (Greta). Beloved great, great aunt of Christopher (Madalyn), Megan, Nicholas, C. Patrick, R. Bradley and Laine Johnson. Also survived by her first cousins, Josie Mathes and Connie Brocato; godson, Stephen Crane; along with a host of loving cousins and her dear friends, Kay Boudreaux and Marie Vinterella. She is preceded in death by her parents, Alice Messina Serio and Sidney Serio; her sister, Miriam Serio Johnston and her nephew, Capt. Joseph C. Johnson. Carmela was born on July 31, 1921, in New Orleans, LA and graduated from John McDonough High School. She was a founding parishioner of St. Angela Merici Parish in Metairie, LA. Carmela retired from William G. Helis Company after a 10 year secretarial career and was a 51 year member of the Desk & Derrick Club of New Orleans, which she presided as president in 1972. She enjoyed gardening, playing cards, social events & travel; especially her 20 + years of Labor Day trips to the Broadwater Beach Hotel in Biloxi, Mississippi with family and friends. Carmela will be missed by everyone who knew and loved her. Relatives and friends are invited to attend a visitation at Greenwood Funeral Home, 5200 Canal Boulevard, New Orleans, LA on Monday, October 22, 2018, beginning at 9:00 AM, Mass of Christian Burial will be held at 11:00 AM with burial to follow at Greenwood Cemetery.